During my studies at the University of Ottawa, I had the opportunity to intern at the Réseau de développement économique et d’employabilité (RDÉE Canada), a not-for-profit organization that offers a wide array of activities and services to the Francophone and Acadian communities in Canada. Through this internship, I met 2 young, enthusiastic students who, like me, are passionate about the French language and their Francophone community. In their own way, they are actively committed to the future of the French language in Canada. Jean-Sébastien Comeau grew up in Dieppe, a mainly French-speaking city in New Brunswick. Despite pressure from his friends and family to study French in university, Jean-Sébastien decided to move to Sackville to polish his second language and pursue an undergraduate degree in international relations, in English, at Mount Allison University. 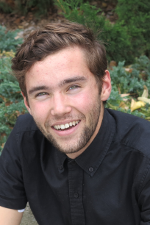 Living and studying in an English environment made him see things from a new perspective and led him to reconnect with his mother tongue. During his master of arts in communication at the University of Ottawa, he chose to do his thesis on how Acadian identity evolved under Louis Robichaud, premier of New Brunswick from 1960 to 1970. He will complete this major research project in December 2017. Jean-Sébastien hopes that his project will have tangible benefits. He believes that fostering Acadian identity and pride can stimulate tourism and have a positive impact on entrepreneurship in New Brunswick. Towards the end of high school, Francesco Caruso discovered a passion for Francophone issues while taking part in activities organized by the Fédération de la jeunesse franco-ontarienne (site in French only). That’s when he saw just how unified the Francophone community is and decided to commit himself wholeheartedly to helping ensure a prosperous future for Franco-Ontarians. Since starting university, Francesco has sat on the board of the University of Ottawa’s Franco-Ontarian Students’ Association (RÉFO). He also worked for various student associations and federations before being elected Francophone student representative on the national executive committee of the Canadian Federation of Students (CFS) for 2016–2017. In Francesco’s eyes, the Francophonie has immense riches to offer. And even if he is still undecided about what he will do in the future, he already knows that he wants to continue to promote the cause of Francophones in Canada. These 2 dynamic students want to continue supporting their community. The vitality of the French language and of bilingualism has an economic impact that translates into a brighter future for youth. Just like me, young Franco-Canadians today are proud of their vibrant communities. Would you like to learn more about these exceptional students? 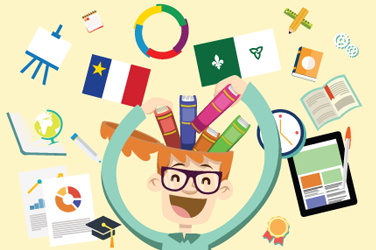 I invite you to read the full text of my posts Un étudiant acadien fait valoir ses ancêtres (in French only) and La cause des francophones à l’université (in French only). How about you? Tell us what you are doing to ensure the vitality of your linguistic community. Through his internship with RDÉE Canada, as part of his co-op education and bachelor of commerce, Zachary is honing his professional communication skills. A champion of the French language (his mother tongue) and the French culture, he seizes all opportunities to promote the two and communicate with more and more Francophones and Francophiles!